How do I share a Gem Sequence with my entire team? 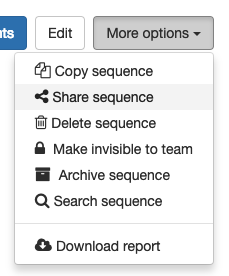 You can share (or un-share) a Sequence with your entire team by selecting More Options> Share Sequence in your Sequence Report. From there, teammates can clone your sequence to their Sequences in the Shared Sequences section. Note that your teammates will only be able to view the sequence's stages (as in the screenshot above), and not the table of candidates the sequence was sent to. 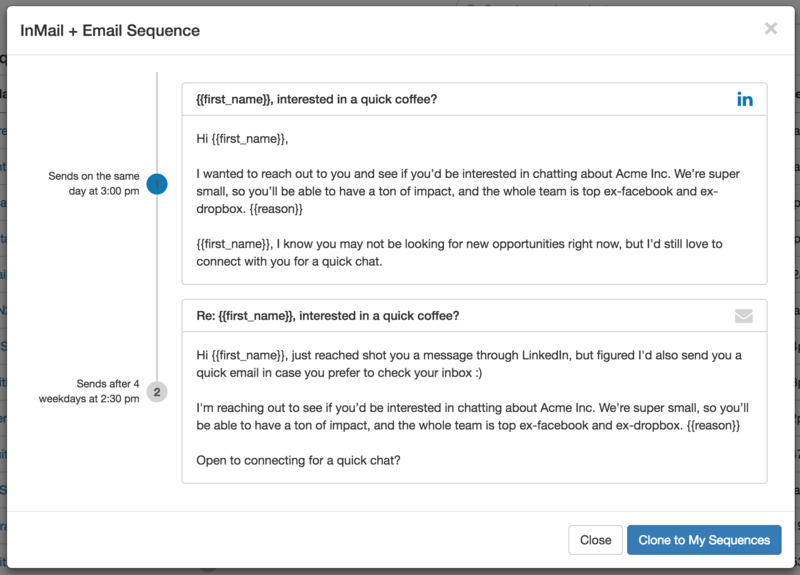 This is a great way to share successful sequence messages with teammates. Cloning a sequence makes a copy, so any changes you make to your original sequence won't affect your teammate's copy and vice-versa. Need help with Shared Sequences in Gem? Feel free to reach out to the Gem team by emailing us directly at support@gem.com or press "Chat with Us" in the Gem home page.